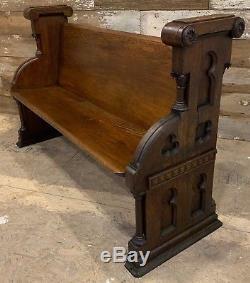 Very nice looking dark stained antique gothic church pew. 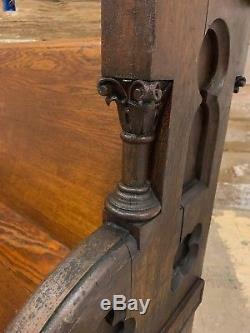 This pew has some of the coolest ends that you will see. 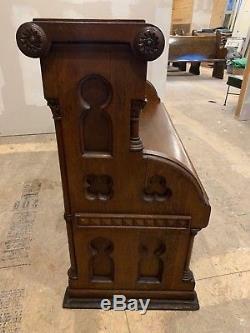 The backs of each end has a tall column with carved tops. 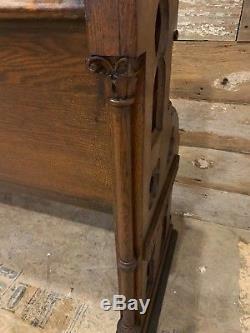 A smaller column with carving is featured on the front of the pews. 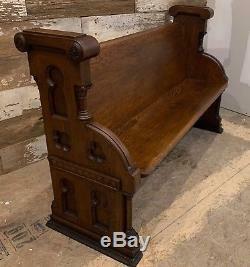 The pew was found in an estate sale and I do not know what church it came out of. It was originally about 12' long. I have shortened it to 60 long. The finish is all original and has "alligatored" in some places which gives it a great look. It shows some wear here and there but has a great time worn appearance throughout. 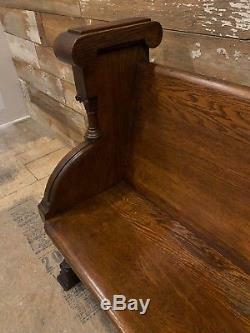 The pew height measures 37.5 high. 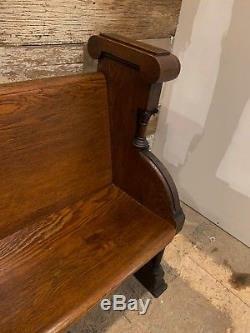 The depth of the pew is 20.5. The top of the curved arm is 25 high. The seat height is 17.5" and the seat depth is 13.5". Take a look at the pictures though so you know exactly what you are getting. 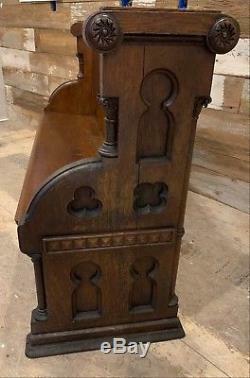 This pew measures 60 long. 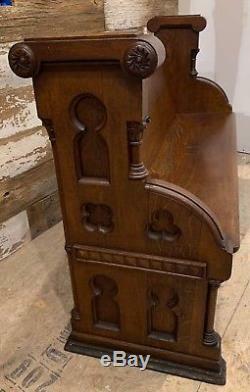 The item "NICE Quartersawn Tiger Oak Church Pew Antique Gothic 60 Fancy Ends Columns" is in sale since Saturday, December 8, 2018. 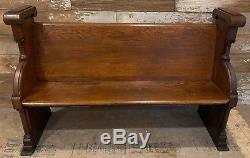 This item is in the category "Antiques\Furniture\Benches & Stools\1900-1950". 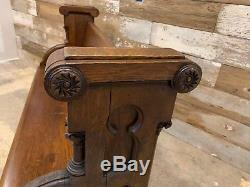 The seller is "bjsccj" and is located in Cedarville, Ohio. This item can't be shipped, the buyer must pick up the item.